The biannual Intertraffic Istanbul fair will bring together the transport and infrastructure giants for the 10th time in Istanbul between April 10 and 12. The 10th Intertraffic Istanbul International Infrastructure, Traffic Management, Intelligent Transportation, Road Safety and Parking System Fair will be held this year with the cooperation of Amsterdam RAI Exhibition and Convention Center and UBM NTSR Fair Organizers in Istanbul Expo Center. More than 125 participant companies that aim to enter European, Asian, Balkan and Gulf markets are expected to take part in the three-day fair along with some 5,000 visitors. The fair, which is the only international organization in the sector that is held in Turkey — a country that has invested $76 billion in the highway sector — will enable sector professionals operating in the fields such as intelligent transportation systems, traffic safety, traffic management and planning, parking systems, transportation infrastructure systems and intelligent mobility to establish international connections. Local and foreign speakers will discuss Turkey's visionary projects in fields such as public transport, transformation in payment systems, road and traffic safety, pedestrian and bicycle applications, and will evaluate the solutions developed for problems experienced in the transportation sector. 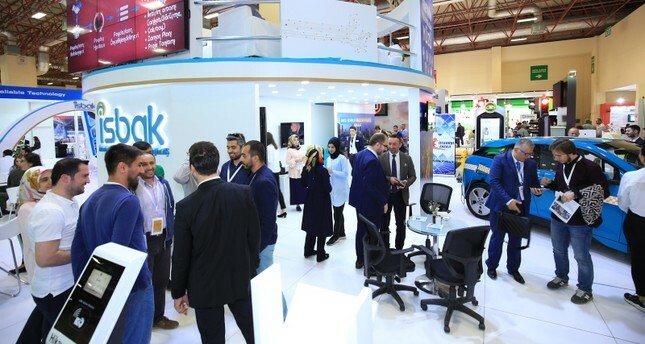 Companies from Turkey and European countries will be the main targets of the fair while companies and visitors from countries such as Iran, Saudi Arabia, Qatar, Russia, Azerbaijan, Turkmenistan and Kazakhstan are also expected to attend the fair this year thanks to geographical advantages and accessibility of the event.